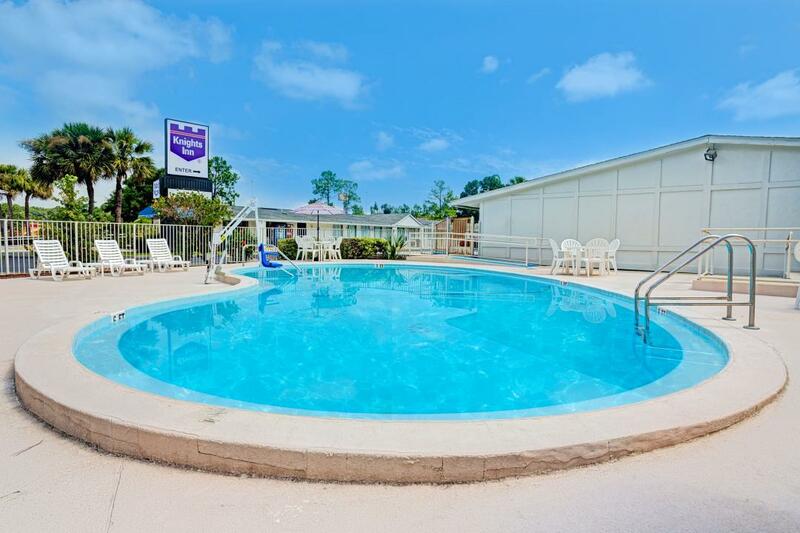 Our Knights Inn Jacksonville Baymeadows hotel is conveniently located off I-95, with easy access to downtown Jacksonville, Jacksonville Landing and EverBank Field, as well as shopping and beaches. Jacksonville International Airport (JAX) is just 25 miles from our hotel. Our pet-friendly hotel offers free WiFi, an outdoor pool, guest laundry facilities, and free parking for cars and large vehicles. Several restaurants are within a one-mile radius. Cheer on the Jacksonville Jaguars at EverBank Field, or soak up the Florida sunshine nearby at Jacksonville Beach, Neptune Beach, or Atlantic Beach—all under a 20-minute drive.